How do you usually put together your #ootd? Do you decide you want to wear your new top, and choose the trousers and jacket to match? Well for me, with this outfit, it all started with the shoes. Let’s just take a moment to appreciate the beauty of my new booties. 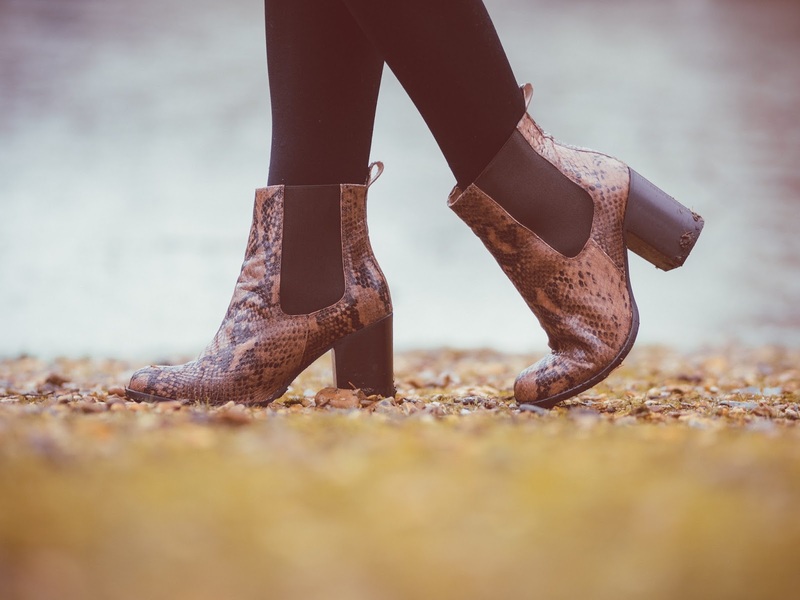 They tick all the boxes, ankle length, chunky heel which is high enough to give me a boost, but I can still run walk in them, and the luxury of the reptile print leather. 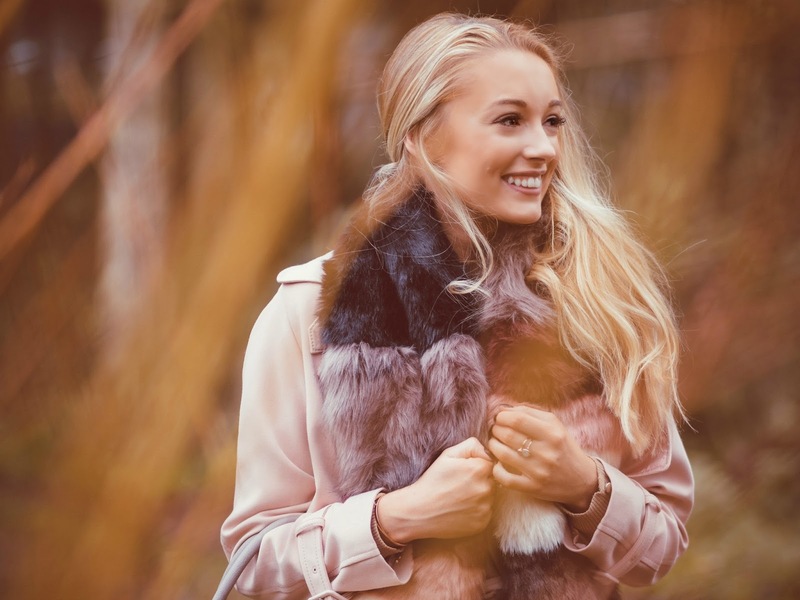 The warm tones led me to swap my usual winter whites for pinky sunset hues – ranging from a tailored trench coat which will see me through to the Spring months, to this snuggly neopolitan striped faux fur stole which was a steal at under £20. As well as the boots, Dune was also my go-to for my other leather accessories – you’ll be seeing this structured handbag in many of my upcoming #ootds, as I swapped my more Summery backpack for the grey colour block tote. 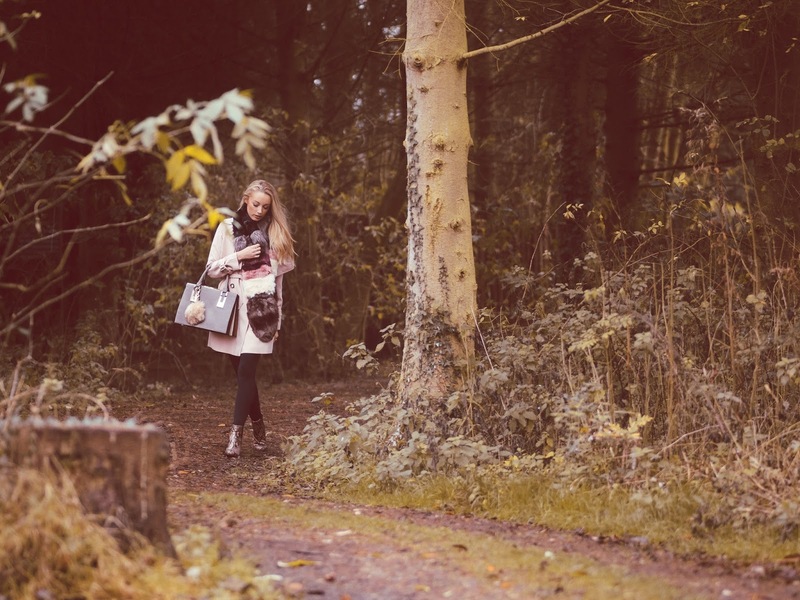 With three inside compartments, it’s roomy enough for my daily essentials, and the chic grey colour perfectly compliments my winter wardrobe. 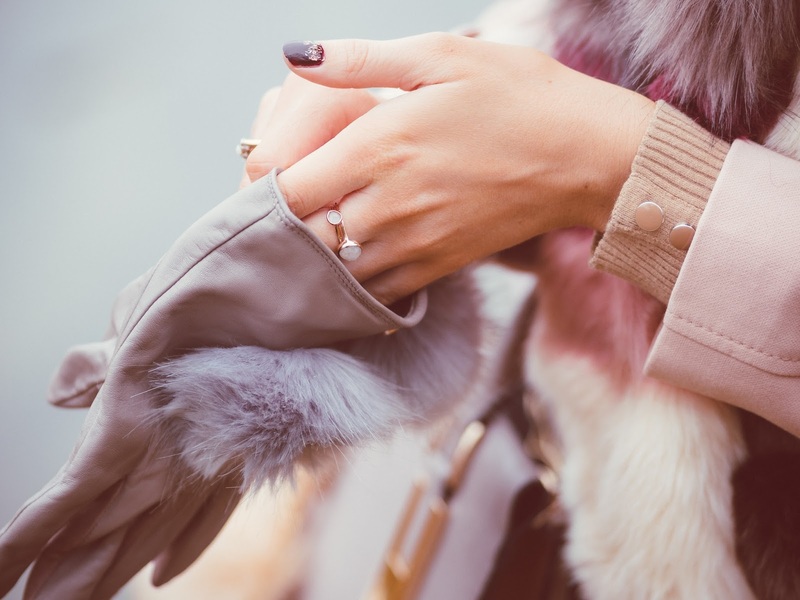 As for the pom pom details – I added a keychain to my bag, as well as opting for these fun leather gloves – who said wrapping up warm can’t be cute too! 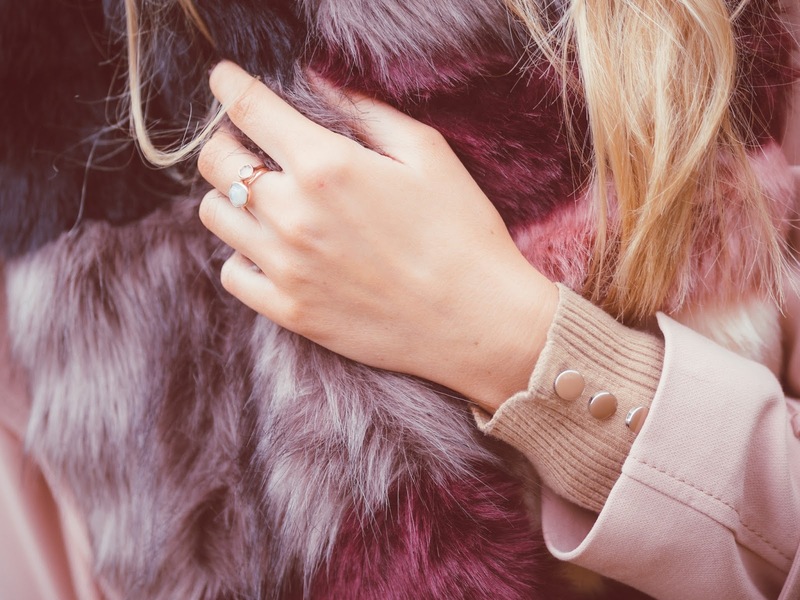 Previous Post Christmas Gift Guide – For Mums!